How funny is this Minions cake?? Making a 2D fondant dinosaur against the same cake, hugely helps to support the dinosaur -rather than completely 3D, which structure would be more difficult to make, specially if you’re a begginer-. 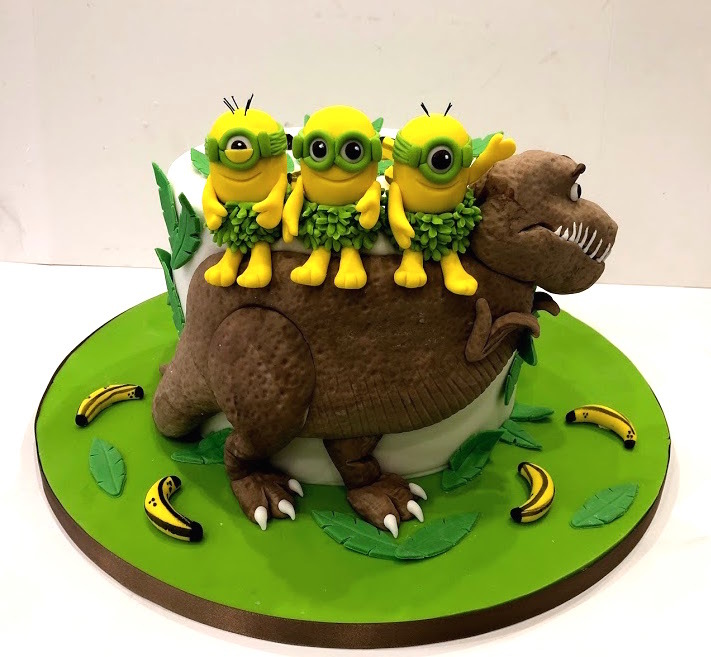 And then those little cute Minions sitting on the actual cake instead of the real dino (also really helps for the whole thing to be sturdier and more secure!). This entry was posted in Boys, Cakes, Cartoons, Fondant, Funny, Girls, Kids, Modelling Paste, Sugarpaste.